Patti Smith hosts four hours of music and conversation about Bob Dylan. His friends, early influences and collaborators discuss their close relationships with Dylan and the stories behind his greatest songs and other memorable moments of his career. Journalists and biographers add critical insights and provide historical contexts. Exclusive comments from current singer-songwriters detail how Dylan's art influenced their own lives and careers. We also hear Bob Dylan, himself, in rarely heard interview clips. Each episode focuses on on a distinct period of his life, and they are sequenced in chronological order. Programmers may schedule these as a four-part series, multi-hour programming blocks, or their choice of stand-along one-hour specials. Short descriptions of each hour are listed below and more details are included in their own PRX entries. Bob Dylan moved to New York City in 1961, and within two years he was being lauded as the "voice of a generation." The young troubadour wasn't so interested in being that, but Dylan's meteoric rise to fame was no fluke. In his songs, Dylan captured the social consciousness of the time and took it beyond as he rejected the role of protest singer. In this hour, we'll hear about Dylan's early years as he moved from folk singer-songwriter to rock and roll star. With the mantle of folk protest singer off his shoulders, Bob Dylan launched into a flurry of creativity in the mid-1960's. His sound exploded with electric instruments and a blend of folk, rock, blues, and gospel influences. By the late 60's, Dylan was singing country music like he had grown up in Nashville. His lyrics still commented on the world, but through a wider lens that mixed personal reflection with mystical and surreal images. In this hour, we'll hear how Dylan found his own unique voice, and how that changed rock and roll for a long time to come. In the 1970's and 80's, Bob Dylan continued to expand his artistic world. His songs ran the gamut, from very personal stories to Homeric epics and everything in-between. By the late 70's, Dylan became a born-again Christian, and for several years he sang only religious material. By the late 80's, Dylan had supported Live Aid, Farm Aid, and joined the Traveling Wilburys. In this hour, we'll hear highlights from this period of dizzying artistic and personal growth. Bob Dylan has always been a unique American voice, and that's most evident in the music he's made since the late 1980's. Returning to his roots in folk and blues, Dylan has fine-tuned American music with the mind of a poet and the bravado of a rock and roller. 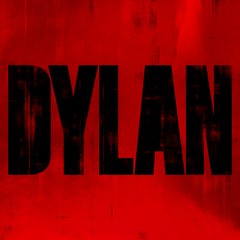 In this hour, we'll hear the maturity and grace of Dylan's most recent artistic ideas.